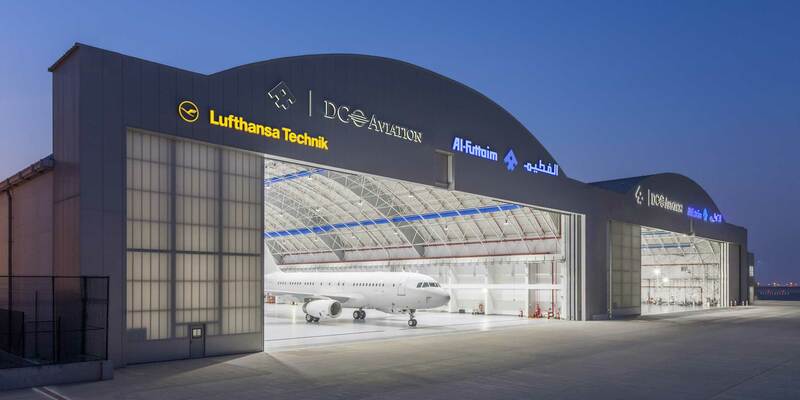 Lufthansa Technik performed its first work on a Saudi Aircraft at the DC Aviation Al-Futtaim hangar at Dubai World Central. The collaboration between the two companies includes regular aircraft checks as well as AOG situations. A mobile repair unit serving the region is under development. Lufthansa Technik has received approval from Saudi Arabia’s General Authority of Civil Aviation to perform maintenance on Saudi-registered aircraft. Last month, the company’s Middle East division performed its first A-check on a Saudi Airbus A320 in the hangar of DC Aviation Al-Futtaim at Dubai’s Al Maktoum International Airport (DWC). The 400 man-hours check included examination of all systems necessary for flight safety, the exchange of several components, and the completion of Service Bulletins. It also included cooperation from the DC Aviation/Al-Futtaim Group joint venture at DWC.